The toner is required to be purchased separately in addition to the base model. Copy one or two-sided originals at speeds of up to 29 pages per minute (letter) with the convenient copying feature. Enjoy an intuitive interface that includes an animated 5-line LCD screen, one-touch faxing keys, and dedicated Solution Keys. Easily scan and send documents in color to your PC, network, or email with the standard sending capability. Consolidate existing single-function fax and printer devices into one with the device's standard wired and wireless network capabilities. Be productive with the standard 50-sheet Automatic Document Feeder. The LASER CLASS 650i includes duplex scanning in addition to auto duplex output capabilities, enabling users to scan and copy with virtually nonstop productivity. 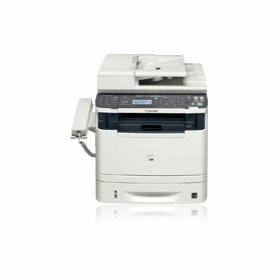 The LASER CLASS 650i can capture originals at up to 29 ipm (BW, LTR, 300 x 300 dpi), and it supports scanning color originals up to Legal size. With standard a 300-sheet paper capacity (250-sheet cassette plus 50-sheet stack bypass) a maximum paper capacity of 800 sheets, the LASER CLASS 650i model enables longer runs between paper refills, allowing offices to be more productive. The standard Send Lite technology gives users the ability to scan and send documents in color directly to various destinations such as e-mail addresses, USB memory media, or even a particular folder on their network or computers. Includes support for PDF High Compression technology for efficient handling of color image data. LASER CLASS 650i is ready to handle your office prints with standard UFR II LT, PCL 5e/6 and Postscript3 (emulation) printing. The standard 10/100 Base-Tx Ethernet and Wireless a/b/g networking give you maximum flexibility for network connectivity. Standard duplex scanning and printing capability provides users with the ability to copy/print their documents on either one or two sides of paper, saving paper, toner, and energy. 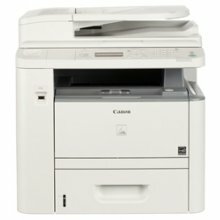 N-up printing and copying further reduces paper usage. 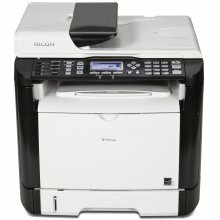 Eco Copy mode helps save on paper costs by automatically making copies 2-up and printing on both sides of the page. All-in-one Toner Cartridge: The LASER CLASS 830i provides for a quick and easy maintenance of customer-replaceable components. The black toner and drum unit are combined into one unit. The yield for this cartridge is approximately 6,400 pages @ 5% coverage.